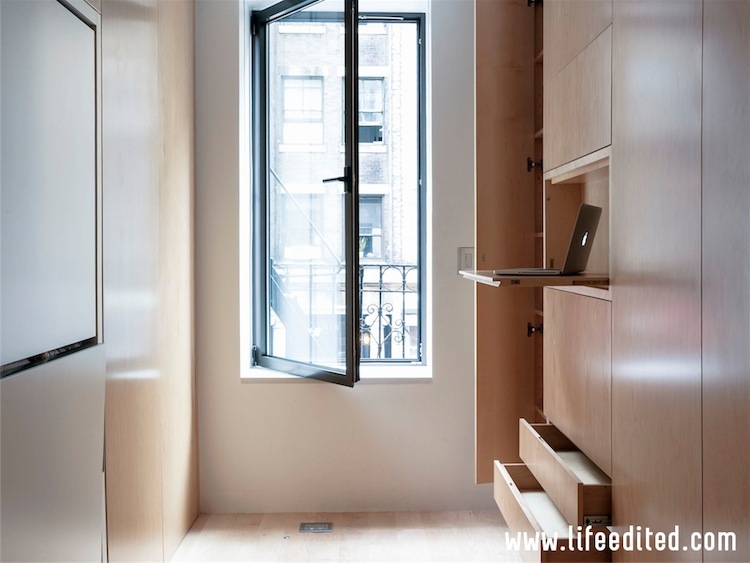 A 39 square meters studio must be designed as a multipurpose urban habitat in an eco-friendly, space-optimization manner. 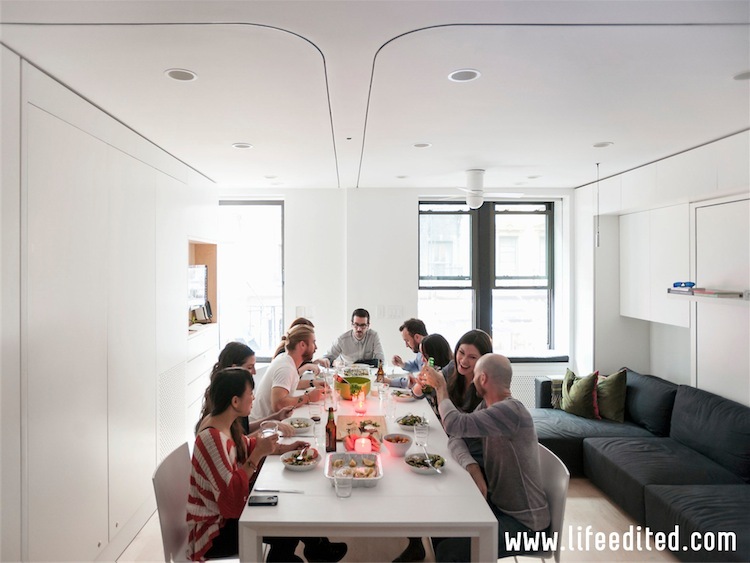 This wonder apartment fits in dinner for twelve, a guests’ room, a home office, a home theater and lots of storage space. 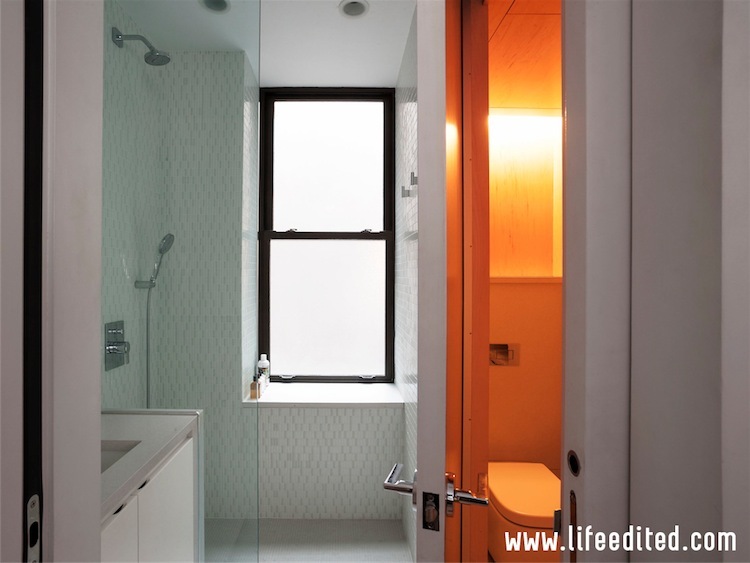 This is the LifeEdited project of entrepreneur Graham Hill, Canadian-born architect, founder of TreeHugger.com and promoter of minimalist philosophy and sustainability in urban dwelling. 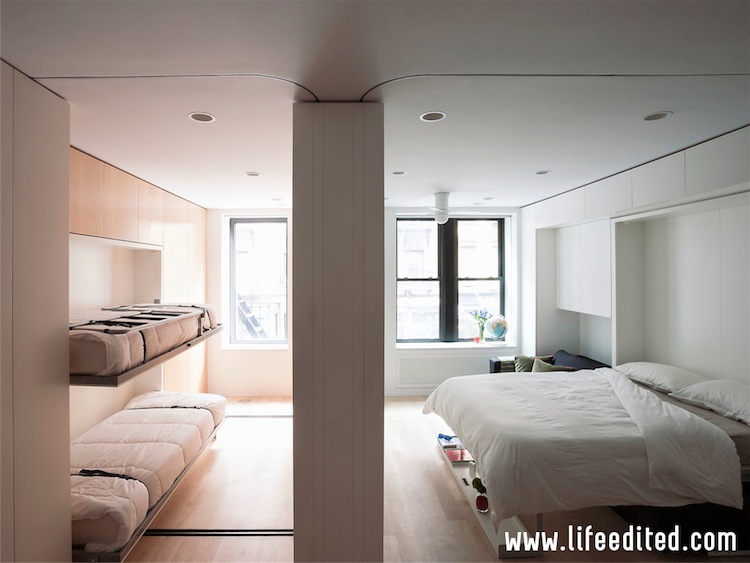 In 2009 he bought two small apartments of 420 and 350 ft sq in New York with the goal of proving LifeEdited principles “that people could have everything they need using less (and better) stuff and space”. 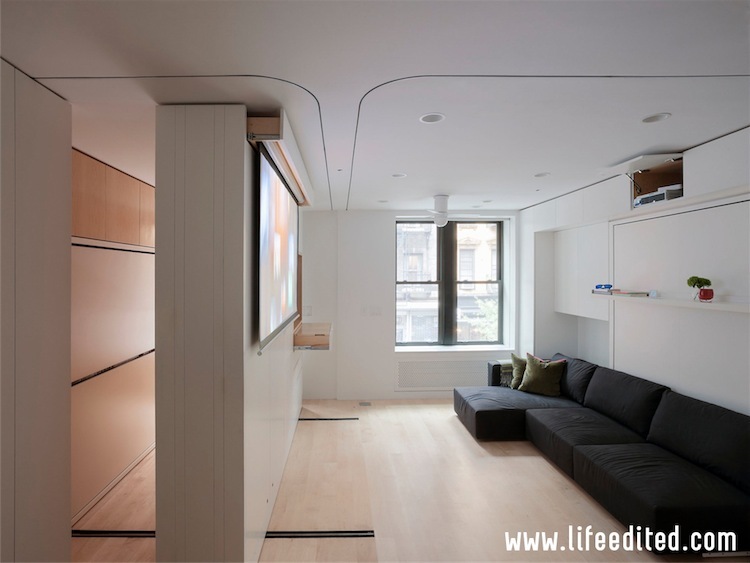 He initiated on Jovoto crowd-sourcing platform a design contest for the 420 ft sq apartment (named LifeEdited 1/LE 1 and also Mr. Hill’s residence) and called in renowned judges to decide the winning project. 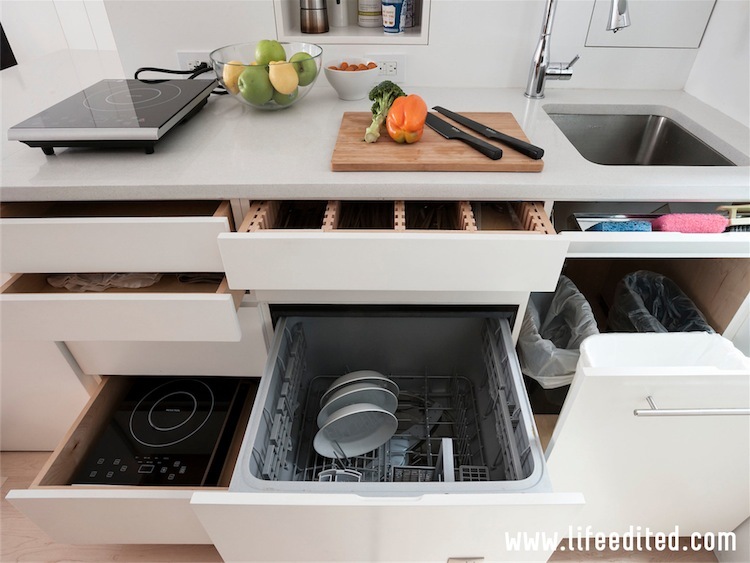 It was the elegant, convertible design scheme called “One Size Fits All” that won the competition, signed by two Romanian architecture students, Catalin Sandu and Adrian Iancu. 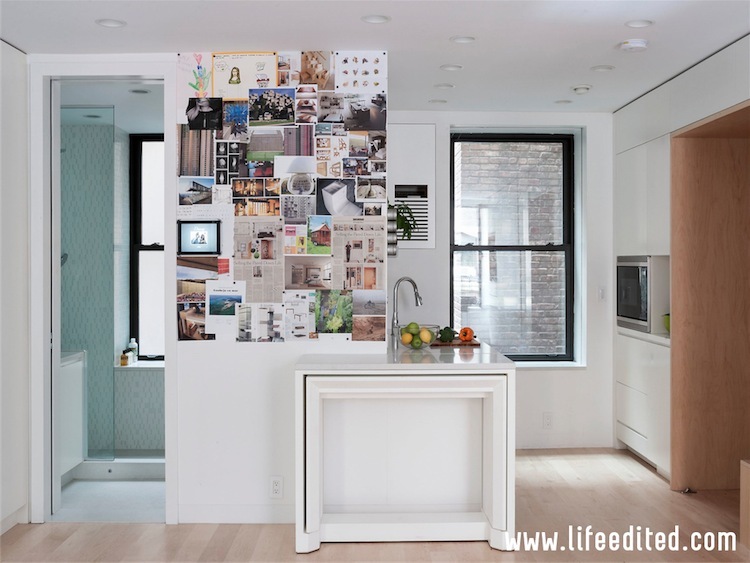 The main piece is the mobile wall that transforms the studio apartment into two rooms’ condo. 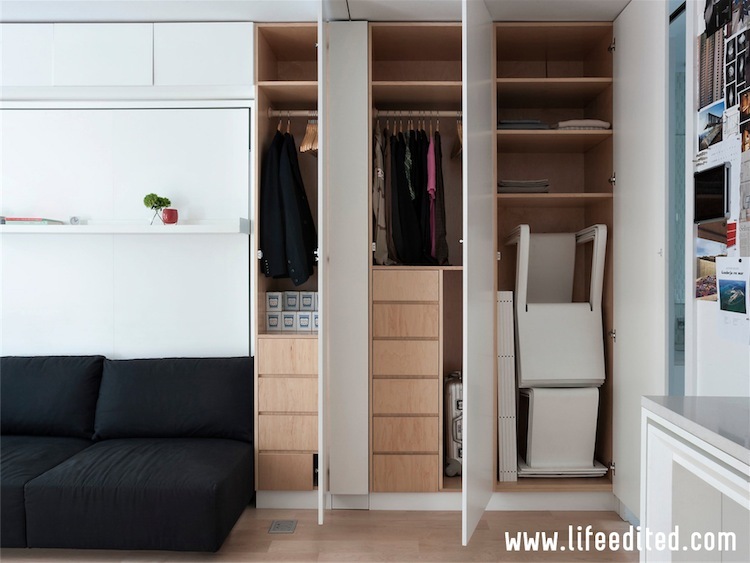 All the details of this project make best possible use of every inch: beds that hide in the wall, custom made cabinets for maximum storage, foldable and stackable furniture and ergonomic, sustainable electronic devices and home appliances. 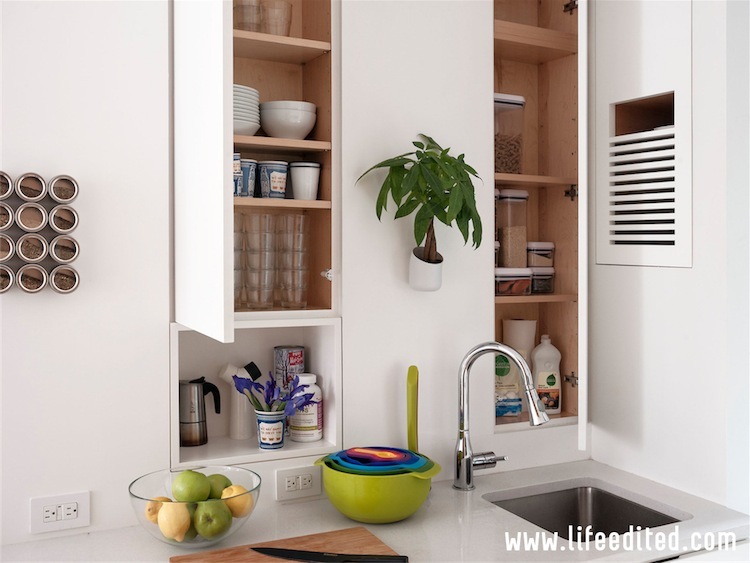 I am sure that gathering less stuff in our homes, choosing smart designs in furniture and home gadgets we can live happily in crowded cities.